The present study was designed to investigate the rewarding effects induced by tramadol and its active metabolite O-desmethyltramadol (M1) under a neuropathic pain-like state. In opioid receptor binding and G protein activation, we confirmed that M1, but not tramadol, showed μ-opioid receptor (MOR) agonistic activity. Furthermore, we found that the subcutaneous (s.c.) injection of tramadol and M1 each produced a significant place preference in mice, and these effects were significantly suppressed by pretreatment with the MOR antagonist β-funaltrexamine. 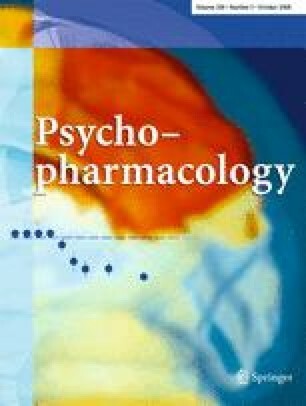 The dopamine level in the mouse nucleus accumbens was significantly increased by s.c. injection of either tramadol or M1. Mice with sciatic nerve ligation exhibited a marked decrease in the latency of paw withdrawal in response to a thermal stimulus only on the ipsilateral side. Under these neuropathic pain-like conditions, the rewarding effect induced by s.c. injection of either tramadol or M1 was dramatically inhibited after sciatic nerve ligation. Furthermore, the M1-induced G protein activation in the lower midbrain area was suppressed after sciatic nerve ligation. Our present data support the notion that the rewarding effect induced by tramadol is mediated mainly through metabolism to its active metabolite M1 via MOR. Furthermore, the suppression of the M1-induced G protein activation in the lower midbrain area caused by sciatic nerve ligation may be responsible for inhibiting the rewarding effects induced by s.c. injection of tramadol and M1 under a neuropathic pain-like state. This work was supported in part by grants from the Ministry of Health, Labor and Welfare and the Ministry of Education, Culture, Sports, Science and Technology of Japan. The authors declare that, except for the income received from their primary employer, no financial support or compensation has been received from any individual or corporate entity over the past 3 years for research or professional service and there are no personal financial holdings that could be perceived as constituting a potential conflict of interest.